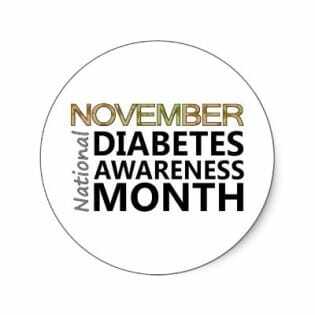 More than 30 million Americans have diabetes and another 84 million have pre-diabetes and are at risk for developing type 2 diabetes, according to the Centers for Disease Control (CDC). In addition, diabetes is the leading cause of new cases of blindness among adults. As prevalent as the condition is, 79 percent of Americans don’t know diabetic eye diseases have no visible symptoms and more than half do not know comprehensive eye examinations can detect diabetes, according to a recent American Eye-Q® Survey conducted by the American Optometric Association (AOA). During November’s Diabetes Awareness Month, the AOA and Valley Eyecare Center are committed to educating the public about the relationship between diabetes and eye health, as the Eye-Q survey shows that after learning about the topic many participants said they would be prompted to take steps to ensure their eye health. The AOA advocates for regular, comprehensive eye exams for those with diabetes, or at risk for diabetes, because the alternatives, like online vision apps, only check for refractive errors like nearsightedness, farsightedness or astigmatism and cannot detect diabetes. For additional resources, visit http://www.allaboutvision.com/conditions/diabetic.htm. To schedule an eye exam at Valley Eyecare Center, call 602-955-2700 or schedule online today.